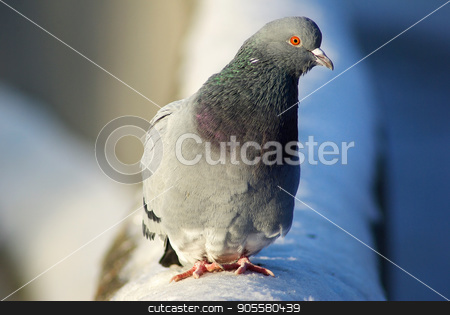 Pigeon sitting on the snow. Urban birds in winter. Shallow depth of field. Selective focus.